Even though I won't be in the country this year for Independence Day, it doesn't mean I can't celebrate it! No, I won't be that annoying tourist who wears a huge american flag on my shirt screaming "I LOVE AMERICA" for all to hear, but I will wear a little red, white, and/or blue to show my love for my country. 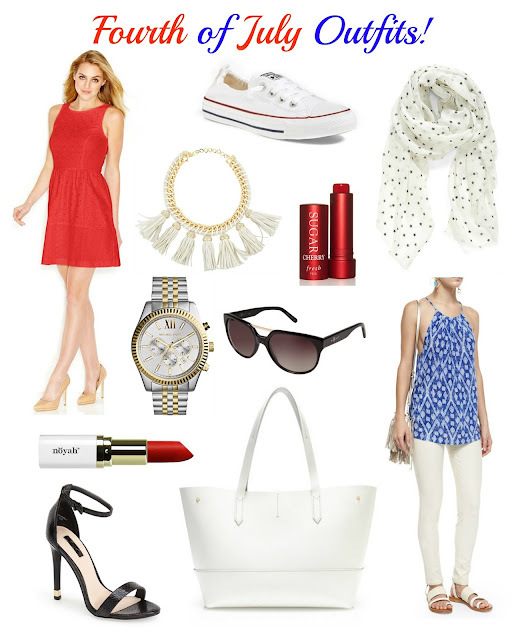 If I were home this Fourth of July, these would be some of the things that I would wear! I've also added a few more items in the bottom of this post for more inspiration! What's your favorite Fourth of July Tradition? Mine's going to see my town's parade!